Another in the list of great dive trips with Scuba Tiger. We've been to Coco View, Green Turtle Cay, Bonaire, Saba, St Kitts, Cayman Brac and Dunbar Rock. This year we add Grenada to the list. Every trip has been fantastic and we have a core group of divers that repeat. Great locations, great diving and great people. True Blue Bay Resort offers numerous activities with a special emphasis on water sports as guests can go kayaking, hobie-cat sailing or have a swim in one of our two pools. Of course, the diving will be the centerpiece of our activity at this amazing resort. Grenada has electric drift diving, mind-blowing macro marine life and the biggest and baddest shipwreck in the Caribbean – the Bianca C, a 183metre/600-foot luxury liner. There are lots of wrecks that litter Grenada’s seascape, both naturally lost and purposely-sunk. You could easily dive just wrecks on Grenada, but you would miss reefs, walls and the underwater sculpture parks that are prolific marine ecosystems. Sister islands, Carriacou and Petite Martinque, also offer fabulous diving opportunities. Drift past encrusted whip corals and an assortment of sponges and sea fans while watching schools of jack, rainbow runners and Creole wrasse. Besides the diving, True Blue Bay Resort offers numerous activities with a special emphasis on water sports as guests can go kayaking, hobie-cat sailing or have a swim in one of our two pools. But don’t be intimidated if water sports isn’t your thing. We have some amazing indoor activities like rum tasting or learning to cook island style. Our resort concierge will be delighted to organize any other outdoor activities on the island including: fishing, river tubing, cycling, mountain climbing, turtle watching (seasonal), whale watching (seasonal), waterfall tours, rum distillery tours, sunset or day sail, dinghy island touring or a visit to Fish Friday. 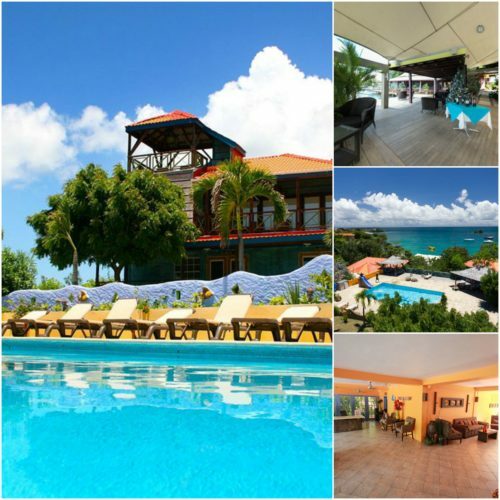 There is so much to do in Grenada! Above the water, Grenada is known as the Spice Island and there are numerous waterfalls and forests to explore. April 1, 2017 refund of money paid less the $225 deposit. April 2, 2017 thru July 1, 2017 refund of money paid less $725. Be the first to review “Dive Grenada 2017” Click here to cancel reply.